I know it’s a battle I can never win. 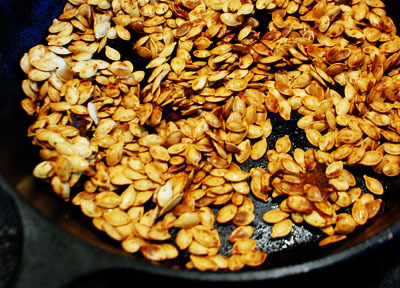 But on Trick or Treat night, I always try to come up with something — something healthy that I know the kids will eat. This is my feeble contribution. 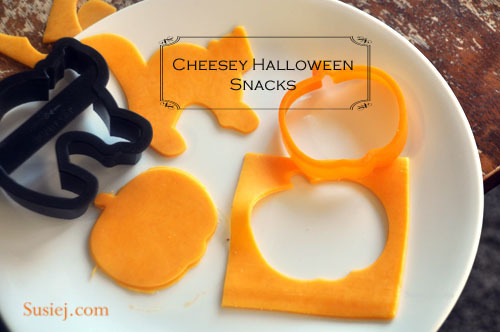 Cheese slices cut into Halloween shapes with my Halloween Cookie Cutters. The cheese is always gobbled up — so there’s a protein score. I use the leftover cheese from the shapes to top our bowls of chili that the boys may or may not eat. Plus they are good source of magnesium, manganese and phosphorus, and a good source of iron, copper, and protein. I don’t know about you, but these facts help me. 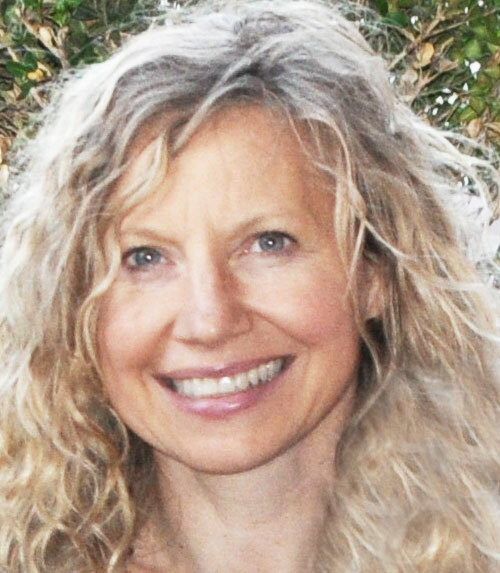 I worry about nutrition and my kids probably way more than any of you realize. 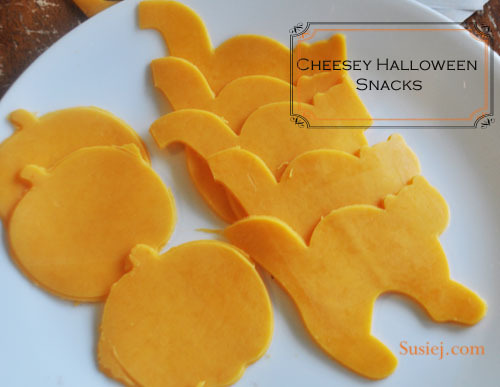 Pingback: Healthy Halloween Treat Ideas That Would Be Great for a Class Party!